Among dozens of trade shows that focus on the automotive aftermarket, one stands solidly above the rest. 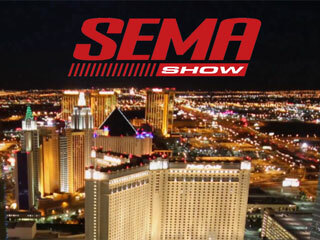 The Specialty Equipment Market Association, known as SEMA, holds its legendary annual exhibition in Las Vegas. To give you an inside look at this industry highlight, both Chris and Alan headed to the 2014 SEMA Show in the latest Motorz episode! To give you a small sampling of what waits in this packed Motorz episode, just a few of the brands we feature include Craftsman Tools, Hypertech, HP Tuners, HIDprojectors, the ridiculously fantastic Razer Krazy Cart and much more. In addition to showcasing the latest aftermarket products for your vehicle, we also had a chance to meet with and interview Duck Dynasty’s Willie Robertson! For this episode’s Partz segment, both Alan and Chris visited the Craftsman booth to get hands-on with the new Mach Series tools, C3 Bluetooth Radio and Craftsman heated jacket. Plus, you’ll want to stay through the credits to see the epic SEMA Cruise. Ready to get your latest Motorz fix? Buckle up and hit play on our 83rd episode below!